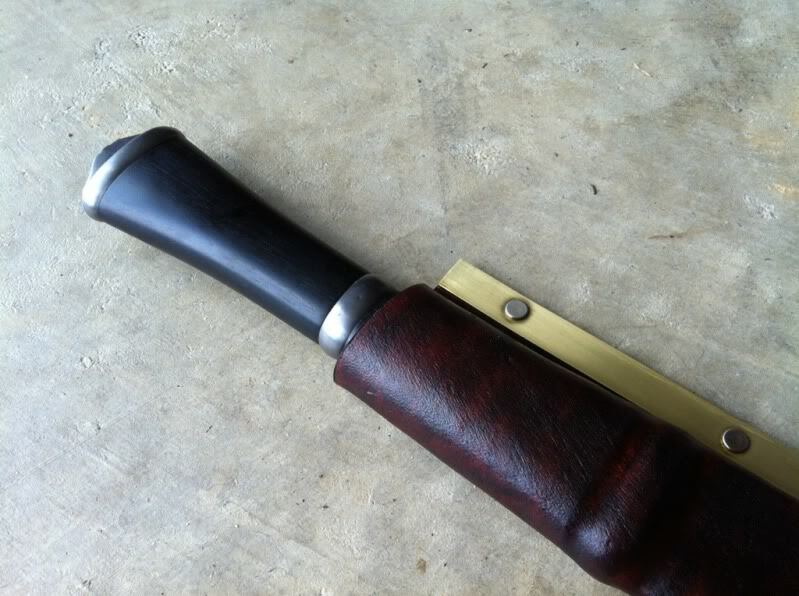 Just finished up a sheath for very nice Eric McHugh Langseax. 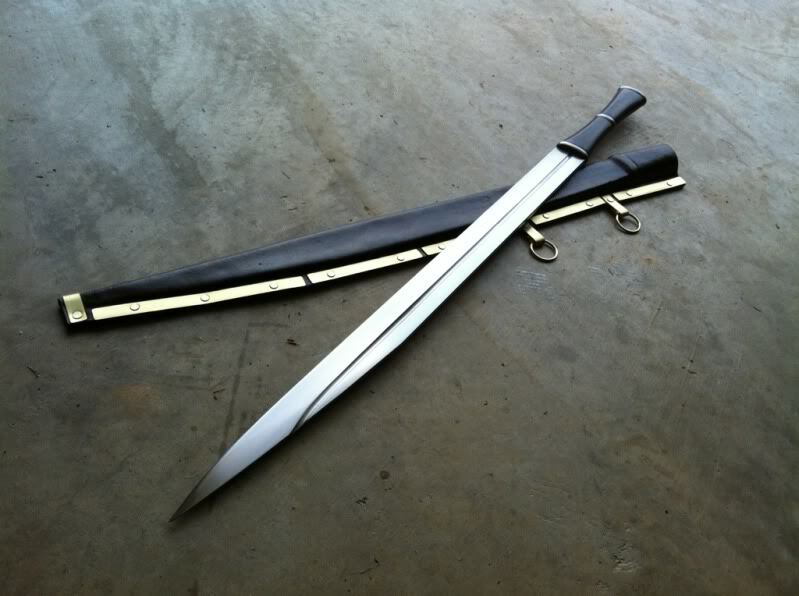 Sheath was wet moulded from tooling leather and gives a nice positive lock at the guard. 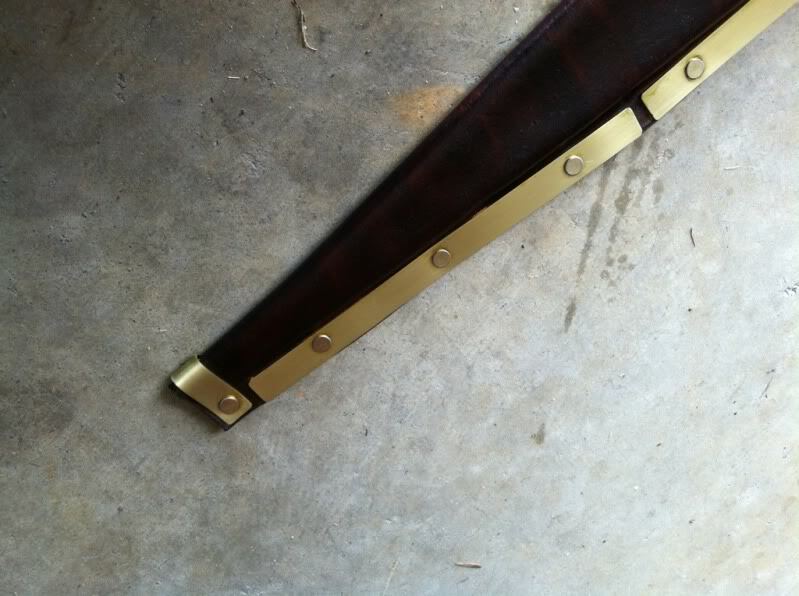 Hand finished brass trim and rivets were added to give the sheath a decorative flair and more rigidity. Finish is dark antique brown, with the fittings being lightly antiqued and given a satin finish. 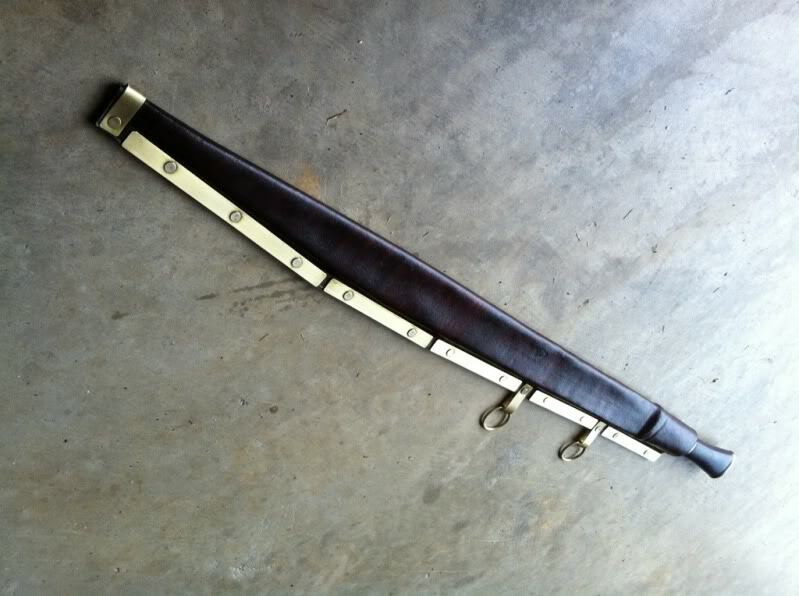 I enjoyed being able to help the owner keep this awesome langsax contained! 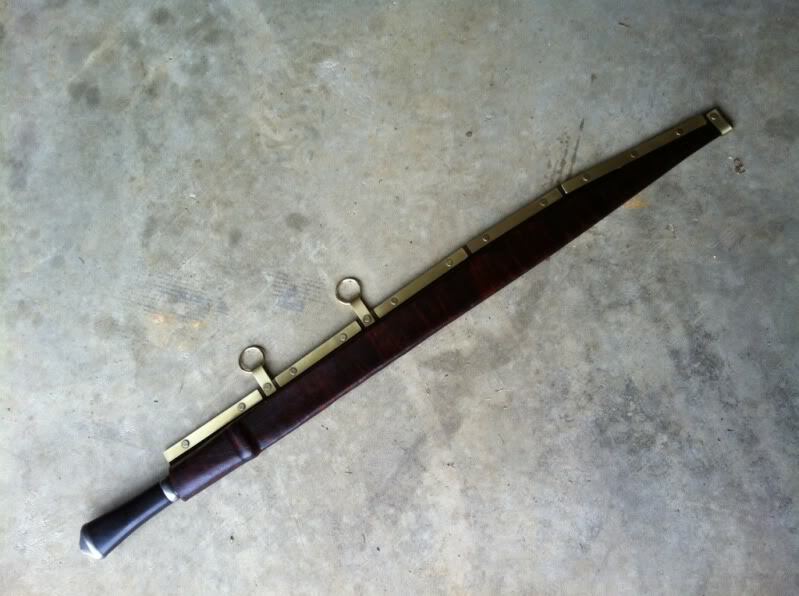 Nice scabbard, but my bad, this is my Eric McHugh seax!!! 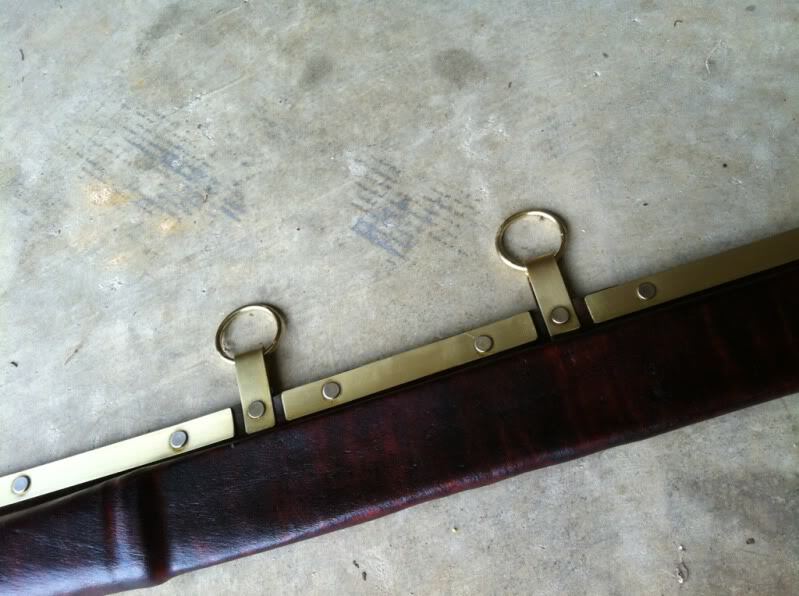 J. E., it seems every piece you touch is enhanced by your excellent taste and your sense of what works best for the piece. I think it's called consistency. Outstanding work. Really like this one. Looks good! 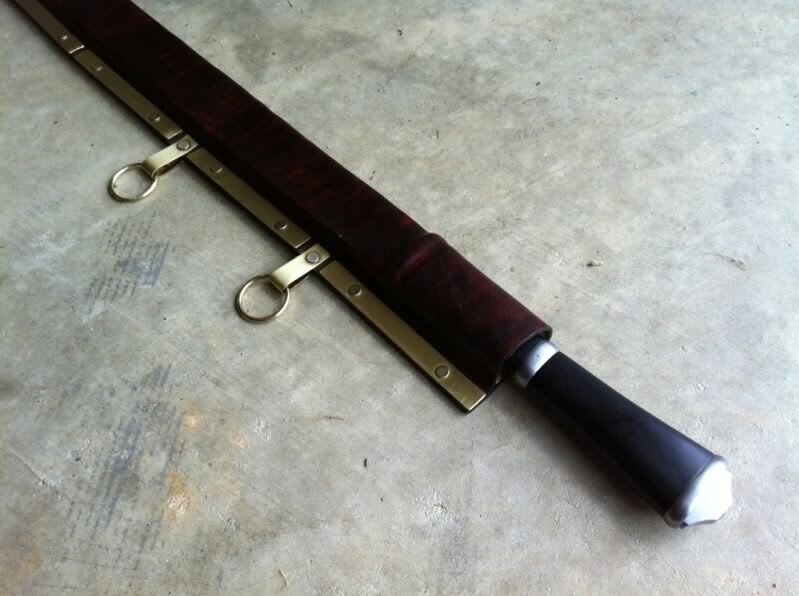 The sheath really compliments the seax. 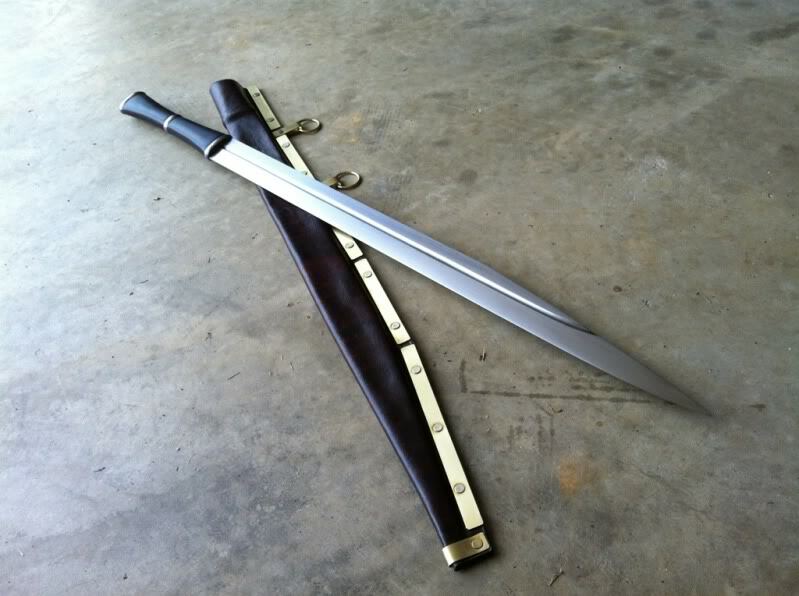 This scabbard is a bit ironic as well because Eric had been doing simple scabbards before his time with Albion. The Bishop's work rules and this addition adds some gravy. I wonder if he has gone back to pastoring?